I am not a Marvel kind of guy. I know enough to know the basic stuff. I have nothing against the company or anything, but I am just not too interested in them. I do see the movies based off of Marvel heroes from time to time, and if I am interested in a certain character, I look them up, but other than that, I just don’t read many of their comic books. I have played a lot of the games based off of the characters, and for the most part, you can find some pretty good games. I know there are probably two bad Marvel video games for every good one, but you can still find the good ones out there. 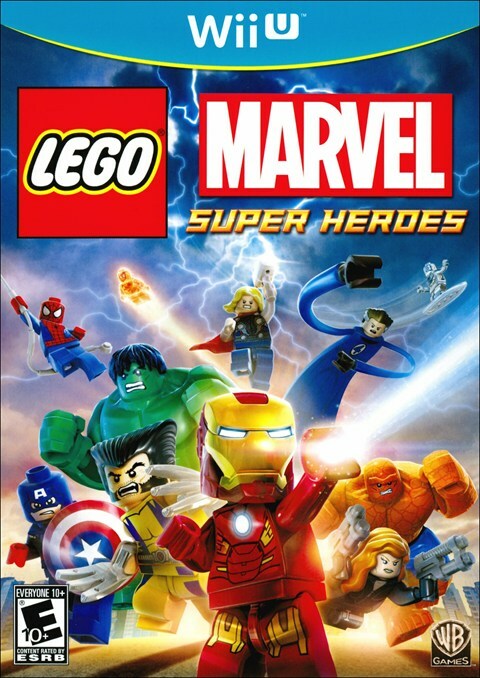 Luckily, one of the better Marvel video games is Traveler’s Tales Lego Marvel Super Heroes for the PlayStation 3, Xbox 360, Xbox One, PlayStation 4, Wii U, Nintendo DS, Nintendo 3DS, and PlayStation Vita. 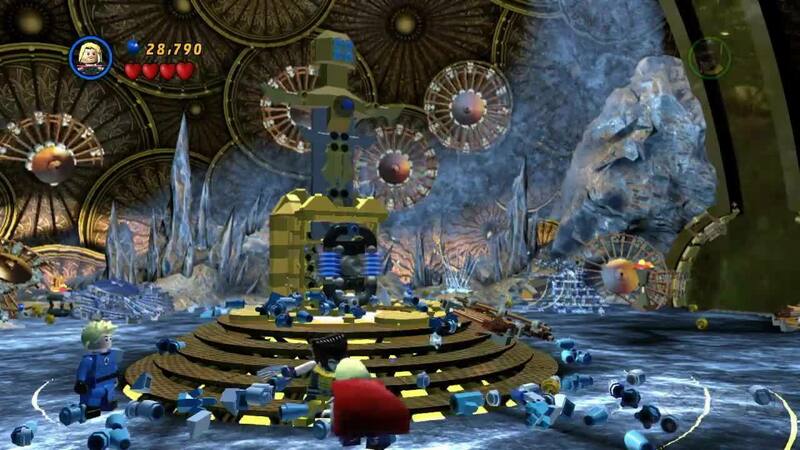 I think the Lego games are still good, but I do hate how some of the game design issues that plague the games still exist, and aren’t fixed or designed differently. 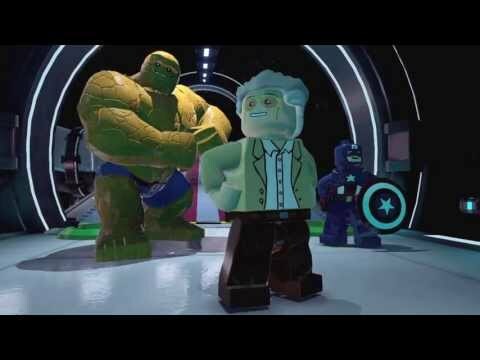 Lego Marvel Super Heroes is no different, and does suffer from the issues that plague the series. In my opinion, Lego City Undercover is the best Lego game, but Lego Marvel Super Heroes is, all in all, a really good game. The story revolves around the Avengers and X-Men trying to take down Doctor Doom, voiced by Fred Tatasciore, who has harnessed the power of cosmic bricks, which were the components that made the Silver Surfer’s board. To get all of the power bricks, Doctor Doom has hired a multitude of villains from the Marvel universe to gather the powers of the bricks and conquer the world. The story can be epic at times, but still has that Lego game charm and humor. It is a story that any gamer, young and old, can get into. If you have played any of the Lego games from the past few years, then you know how this one will play out. You get to control a multitude of super heroes from the Avengers, the X-Men, and The Fantastic Four, just to name a few of the groups of heroes that are playable. Your goal is to get from point A to point B to tackle missions all over an open world city. When you get to one of these missions, the levels are basically designed like the normal Lego levels. You will fight your way through hordes of enemies, solve puzzles using each hero’s special ability, and fight a boss at the end of the level. Outside of the main levels, you explore a huge city and unlock vehicles and other characters by completing challenges. You can also make your own super hero with his or her own abilities. The boss fights are well executed. I mean, you have a catalog of super heroes and villains to use at your disposal. If you can’t make at least one boss fight memorable using these characters, you did something wrong. The game can be short if you don’t complete 100% the entire game. It took me about eight or so hours to beat it while doing only some of the challenges. There is also a split-screen co-op mode to play with your friends. The Wii U version, the version I played, doesn’t really do much with the GamePad, but it does at least act as your map so you don’t have to keep bringing it up on the main screen in the other versions of the game. There is also off-screen TV play. To be honest, there isn’t really anything too new with the Lego formula here, but there are some changes, like each character does something different, unlike the unlockable characters in Lego City Undercover. So, what is wrong with this huge super hero love letter in Lego form? I have a few issues with this game. The first negative I will talk about concerns the few glitches in the game. I found a few that stopped me from progressing through the game, and that just isn’t fun at all. Once again, the camera can be an issue due to the perspective. I don’t know why they don’t fix this part of the design. It’s always a common complaint, so why not fix it? I also find that having vehicles is pointless in this game. Why would you want to drive around in a car with clunky controls, when you can fly around as Iron Man? It’s like Saint Rows IV, why would you want to use a car when you have super powers? I also feel like some of the characters like the Hulk got ripped off, since in past games with the certain characters, they had much more versatility. Let’s use the Hulk and Spiderman for example. In The Incredible Hulk: Ultimate Destruction, you could run up buildings, jump huge stretches of land, and use cars as gauntlets. You can’t do any of that in this game. In Spiderman 2 or in any good Spiderman game, you can swing from web like it was nothing, and climb up walls or flat surfaces with ease. In this game, you can’t climb up walls unless they are in a specific area of the game. Wolverine can’t lunge at enemies. Why can’t the heroes be more unique? I know a lot of reviewers and advertisements like to say that you can play as a hundred or so “unique” characters, but most of them are costumes for other characters. Plus, most characters will share the same abilities. So much for this game’s multiple unique characters when most of them share the same abilities. I would rather have a smaller roster of unique characters, than ten or twenty characters that play the same.